All great landscapes deserve great support! We install and maintain the best sprinkler systems and drip irrigation systems on the planet. We also service and repair those that are not up to the latest standards and codes set by the irrigation industry. We can make sure you have good drainage to protect your yard, plants and your home. 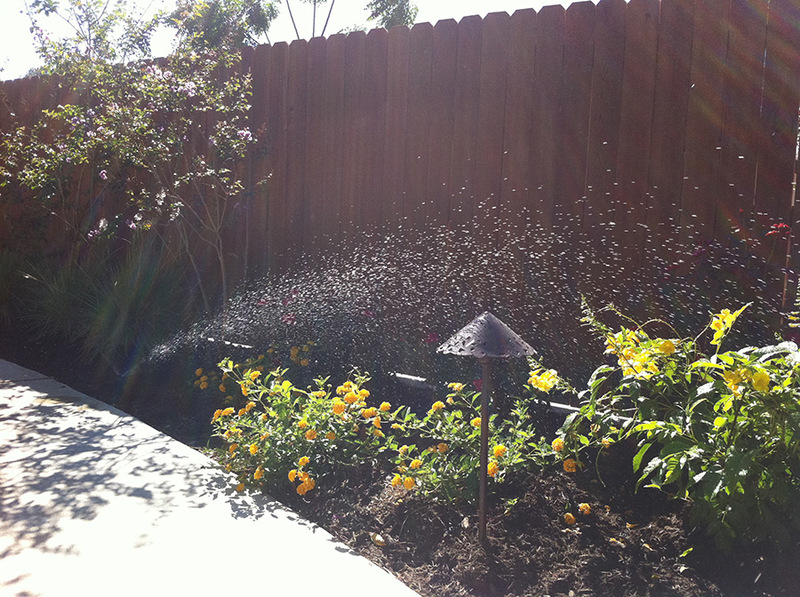 Our landscape lighting and mosquito systems are expertly installed to contribute to years of outdoor enjoyment. Need plumbing run for your outdoor kitchen or pool? We also have a plumbing division for all your plumbing needs. Since 1984, we have served San Antonio and south Texas with in-house, well-trained, and experienced technicians who can install and maintain the systems that keep your outdoor space a welcoming place. Our clientele range from individual homeowners, custom landscape contractors, architects, general contractors, developers and property managers. From simple sprinkler system repairs to complex commercial rain harvesting and recycle irrigation systems. Lighting a small patio to an entrance for a subdivision. From rain gutter drains to french drains with sump pumps. Every job gets our full attention and commitment to customer satisfaction. We install & maintain the best drip irrigation and sprinkler systems on the planet. We also service and repair those that are not up to the latest standards and codes set by the irrigation industry. We can make sure you have good drainage to protect your yard, plants and your home. Our landscape lighting and mosquito systems are expertly installed to contribute to years of outdoor enjoyment. Need plumbing run for your outdoor kitchen or pool? We have a plumbing division also for all your plumbing. From simple sprinkler system repairs to complex commercial rain harvesting and recycle irrigation systems. 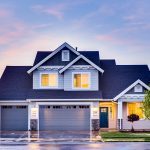 Whether it’s lighting a small patio to an entrance for a subdivision or rain gutter drains including french drains with sump pumps, every job gets our full attention and commitment to customer satisfaction. We are an experienced, licensed, and insured service company, ready to help you. We specialize in large custom home and commercial landscapes that have complex watering requirements from lush tropical to desert native foliage. 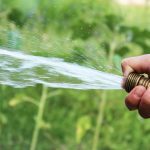 Design, repair, install and maintain the best sprinkler systems and drip irrigation systems that can be found. Employ only licensed and experienced technicians. Have all of the necessary equipment and tools to work on most every type of irrigation system. Only conduct business with our customers by being honest and fair. Automatically schedule quarterly, bimonthly, or monthly checks of your system. We will remind you of your appointments throughout the year. We include a report of your system and what work was done with every check. You receive preferential management: 10% discount on irrigation systems repairs, special offers on other services, response in 24 hours, and a lot more. Having irrigation work done? Why not at the same time have us install a professional grade LED lighting system? We install photocell timers, astronomical timers, and remote controls, even motion sensors if security is what you want. If installed at the same time as irrigation, it will save you many dollars, and you will not have to have your yard retrenched to install wiring. Part of what is so great about living in Texas is spending time outside! A beautifully landscaped yard makes that even more enjoyable. Let us help you put the systems in place to support your landscaping investment. 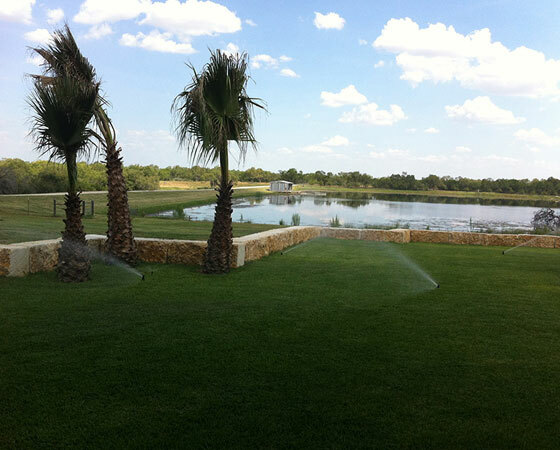 Irrigation in Texas is regulated by Texas Commission on Enviromental Quality (TCEQ). Newsome Systems. © 2016-2019. All Rights Reserved.